“Dupont Certified Commercial Refinisher” and a “Sherwin Williams Commercial Fleet Refinisher”. 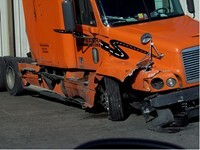 One of the industry leaders in the Dallas/Fort Worth in the commercial truck collision repair market. - Large staff to minimize down time!